A NEW company has been formed to take the Great Western Society’s £1.5 million project to build a new 38XX County 4-4-0 to the Gloucestershire Warwickshire Railway. 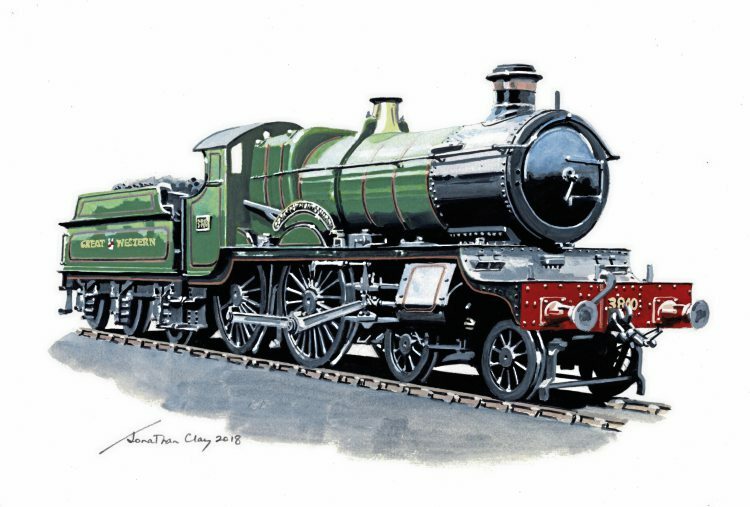 While affiliated to the society, the Churchward County Trust Ltd has been established as an independent company in its own right to build the 41st locomotive in the class using a combination of original GWR parts and all-new components. The origins of the scheme go back to 2005 when the GWS signed the ‘Three Counties Agreement’ with Vale of Glamorgan Council, the goal being to recreate examples of the GWR’s Hawksworth County 4-6-0, and an example each of Churchward’s County 4-4-0, 47XX ‘Night Owl’ 2-8-0 and 4-4-2T County tank. The projects to build the County 4-6-0 (No. 1014 County of Glamorgan) and 47XX No. 4709 are now well advanced. However, the 4-4-0 proposal never progressed beyond the ‘statement of intent’ stage – until now! The new trust is a wholly autonomous organisation, but remains affiliated with the GWS. Its mission is to build a County to the pattern of the 10 erected at Swindon in 1911/12 with curved drop-ends to the running plate and screw reverse. The locomotive will carry the number 3840, the next in the original numbering sequence, and be named County of Montgomery. Central to the build will be the Standard No. 4 boiler from unrestored 2-8-0T No. 5227 at Didcot, together with patterns made for the construction of the Churchward Saint 4-6-0 No. 2999 Lady of Legend, as used for the 6ft 8½in driving wheels.